On the occasion of the arrival of the traveling exhibition Utopia – Revisiting a German State in America, the Baltimore Immigration Memorial, the Society for the History of the Germans in Maryland, the German-American Heritage Museum and the Traveling Summer Republic invite everyone to the Baltimore Immigration Memorial Garden in Locust Point, at the bottom of Hull Street at water’s edge (meeting point) and to the nearby Immigrant House on Beason Street from 5-8 p.m. on September 1, 2014 (Labor Day). 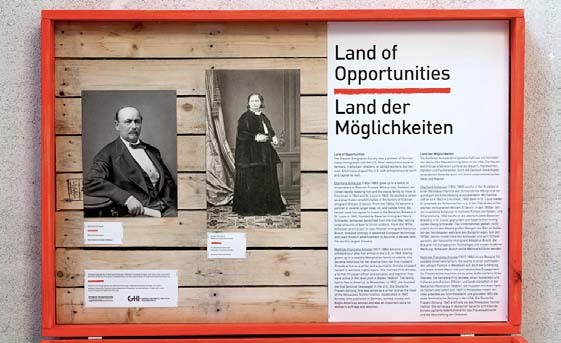 On September 6, 2014, the German American Heritage Foundation of America will open Utopia – Revisiting a German State in America at 4:00 pm the exhibit in its museum in Hockemeyer Hall . Built by German immigrant John Hockemeyer, has been restored and is now home to the German-American Heritage Museum. 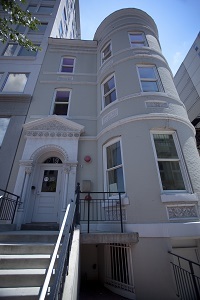 Located at 719 6th Street NW, Washington, DC 20001. Call 202-467-5000 or email info@gahmusa.org for more information. There will be special hours and events for the opening weekend Sunday, September 7, and Monday, September 8, 2014. For more information call 202-467-5000 or email info@gahmusa.org today.